and we want to keep them in peak physical and mental condition to enable them to perform for us. But sore muscles n mental strain can hinder their willingness to be able to do their job fully. ACE Therapy is a natural way to help prepare and keep your horses mind and body in a healthy balanced state to be able to achieve and perform to the best of their ability. Happy to travel to help your horse. 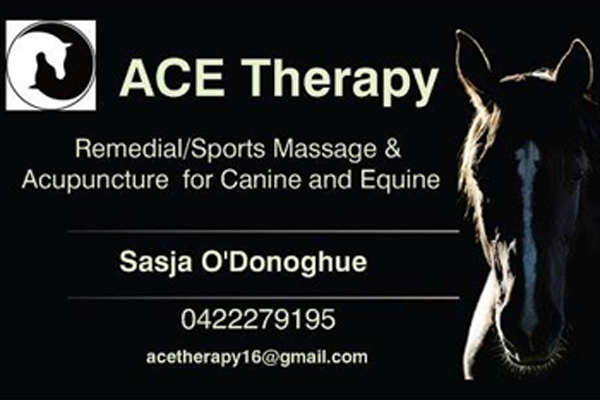 For moe details contact Sasja O’Donoghue Ph:0433379195 or follow this link to the Business Directory. Are you having a tough and hard time managing your pdf files? The hope is here, visit directly sodapdf.com to learn something new on how you can manage your files well. If you experienced and got into any sports injury then better to consult with our best doctors, we are the leading sports physiotherapy service in the industry. Want to learn how to open a rehab center? Read some guidelines from my sources. We recorded all of our horse adventures and uploaded it on YouTube using themarketingheaven.com.